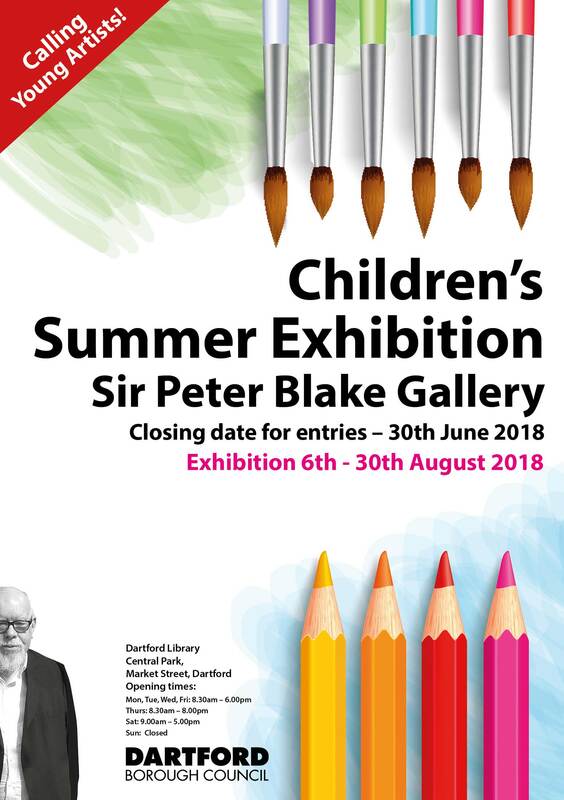 The Sir Peter Blake Gallery is inviting young aspiring artists to exhibit their work in the Children’s Summer Exhibition. The exhibition is looking for children aged 5 to 15 to create a picture on the theme of summer. As well as showcasing the brilliant range of young local artistic talent, this is an exciting opportunity for children who enjoy art to see their creations on display in a public gallery. Entry forms are available at Stephen Oliver: Studio & Gallery in the Orchards Shopping Centre, Dartford. 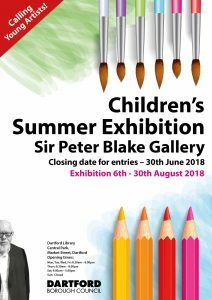 For more information and to download an entry form visit our Children’s Summer Exhibition page or pop into the gallery. The closing date to get entries in is 30th June 2018. The exhibition will run from the 6th to 30th August 2018. The Sir Peter Blake Gallery is located in the same building as Dartford Library and is curated by Dartford Borough Council on behalf of Kent County Council’s Libraries Registrations & Archives service.